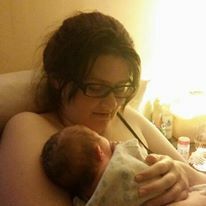 So I just recently - just about two weeks ago in fact - had a baby! My little gal Elizabeth is so precious. And having a baby is a wonderfully miraculous, seriously all-around amazing thing to be a part of. However, pregnancy also takes a toll on your body - you grow, stretch, and get all new kinds of aches & pains. Growing a human is something our bodies are created to do but it can also take a lot out of us! Nature Made is the #1 choice recommended by pharmacists** and the #1 best-selling vitamin brand in the nation. * Nature Made vitamins and supplements help to fill in those nutritional gaps you may be missing out on - and believe me, that's easy to do when you're a busy mom. We sometimes end up putting our own needs on the back burner or not eating as well as we should, and then we end up feeling sluggish, worn out, and run down because of it. Walmart is my go-to store for Nature Made vitamins because they're always decently priced and I don't have to wait for them to go on sale. Plus, no extra stops while out running errands - I can easily pick them up while I'm doing my other shopping! Nature Made has created their new Daily Boost program to help provide inspiration to stay on target with your goals and stay well! Be sure to check out the Nature Made microsite to see how others are keeping up with their wellness goals and to sign up for their easy to follow, inspirational "boosts" that are delivered every other week. Interested in trying out Nature Made vitamins and supplements for yourself? Would a $50 gift card help? Check out the contest at the bottom of this post for a chance to win 1 of 20 $50 Walmart gift cards!